Stuart Madnick, who’s been a professor of information technology at the Massachusetts Institute of Technology since 1972, tells Inverse that the FCC and ISPs are casting a double-edged sword in their rush to implement 5G. He’s especially concerned about the risk of denial of service attacks — or DDoS for short — becoming more powerful than ever before. 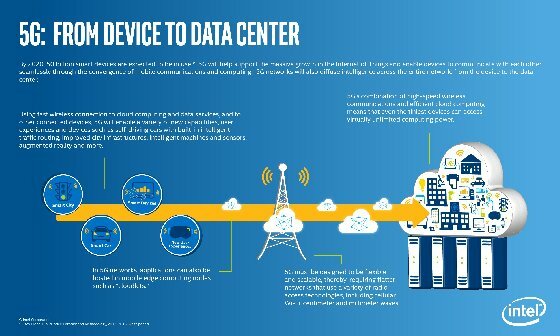 One of the advertised benefits of 5G is that it will allow even more IoT devices, like refrigerators or light bulbs, to come online. This would allow users to remotely check the contents of their fridge or dim their bedroom lights using their phones, but these devices can also be harnessed for nefarious purposes. One of the most notorious DDoS incidents in history — the 2016 Dyn cyberattack — was facilitated by unsecured IoT devices, like security cameras, printers, and baby monitors. Hacker groups Anonymous and New World Hackers allegedly took control of thousands of electronics that still had their default passwords to amass an army of zombie devices, known as a botnet. This network was used to overwhelm the servers of the Internet performance management company, Dyn. Websites like Twitter, SoundCloud, Spotify, and Shopify were inaccessible for a day. Madnick believes this could happen again, to a degree that hasn’t even been imagined yet. Perhaps the biggest sites on the web will go down for days, including online blanks, or worse, the Internet that controls a public utility like electricity. Ex-security minister Admiral Lord West calls for urgent government action after Chinese firms are banned in Australia and the US. Security threats from Chinese companies building 5G networks could end up “putting all of us at risk” if they are not tackled quickly, according to a former security minister. Speaking to Sky News, Admiral Lord West, a former First Sea Lord who served under Gordon Brown as a security minister, urged the government to set up a unit reporting directly to the prime minister to monitor the risk posed by Chinese equipment in 5G. 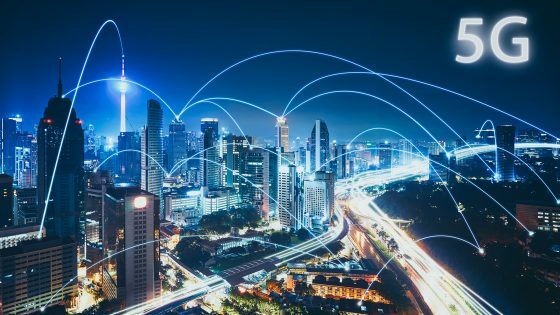 5G has been hailed as the next great leap for mobile communications, enabling everything from smart cities to hologram calls. However, the best 5G technology comes from Chinese companies, raising the fear that China’s government could have ground-level access to – even control of – the UK’s critical data infrastructure. In April, the United States banned Chinese multinationals Huawei and ZTE – both specialists in 5G – from selling equipment to the federal government. In August, the Australian government banned the same two firms from supplying technology for its 5G network, a decision foreign minister Marise Payne described as necessary for “the protection of Australia’s national security”. In a statement, Huawei called the decision “politically motivated, not the result of a fact-based, transparent, or equitable decision-making process,” adding that “there is no fundamental difference between 5G and 4G network architecture… 5G has stronger guarantees around privacy and security protection than 3G and 4G”. Robert Hannigan, former director of GCHQ, told Sky News an outright ban in the UK would not make 5G safe. “The best companies in 5G are probably the Chinese ones and there aren’t many alternatives,” he said, before warning that new measures were needed to test the security of the network. In April, GCHQ’s National Cyber Security Centre warned ZTE could pose a national security risk to the UK. The difficulty for the Huawei Cyber Security Evaluation Centre is knowing for certain that the code it vets and approves is the same code that is going into networks. The government has put £200m into the development of 5G. Last month, the first 5G pilot center launched in the West Midlands, testing the technology before a national roll-out.